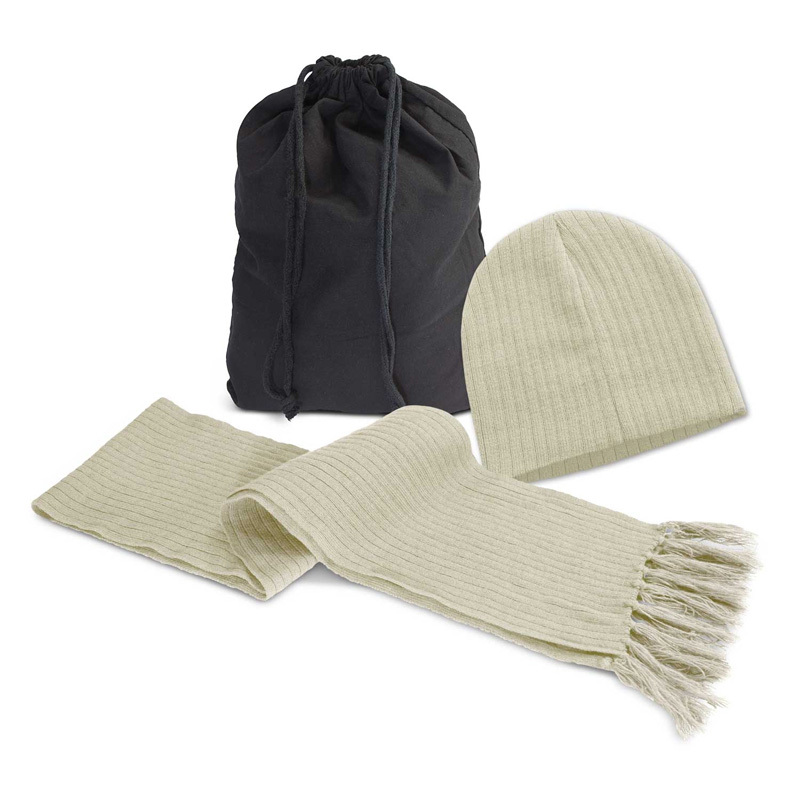 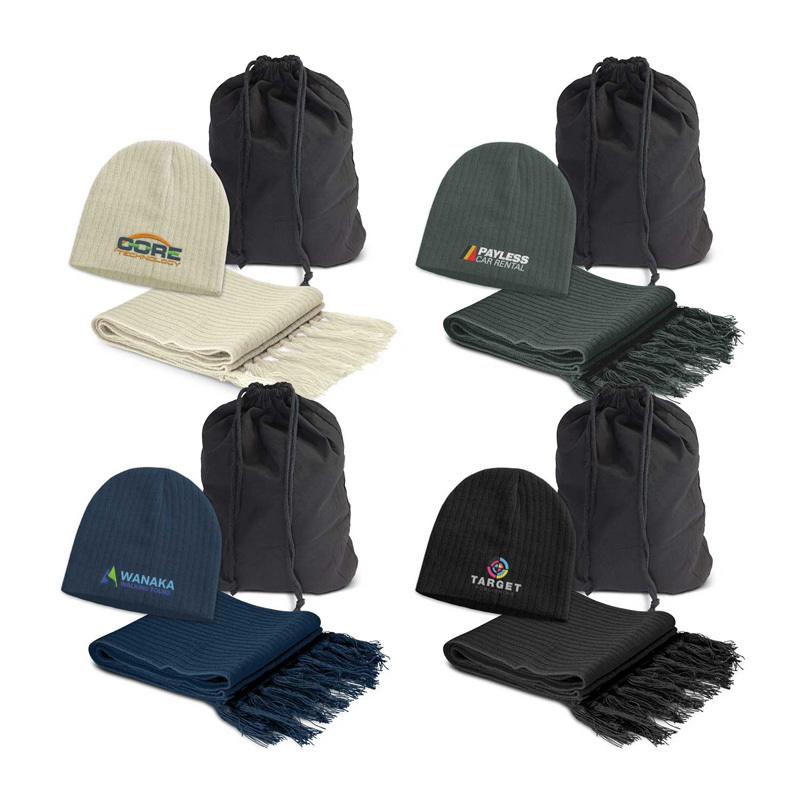 Luxuriously warm scarf and beanie set which is manufactured from knitted acrylic yarn and presented in a cotton drawstring bag. The scarf has trendy tassles and the beanie is available in one size which will fit most people. 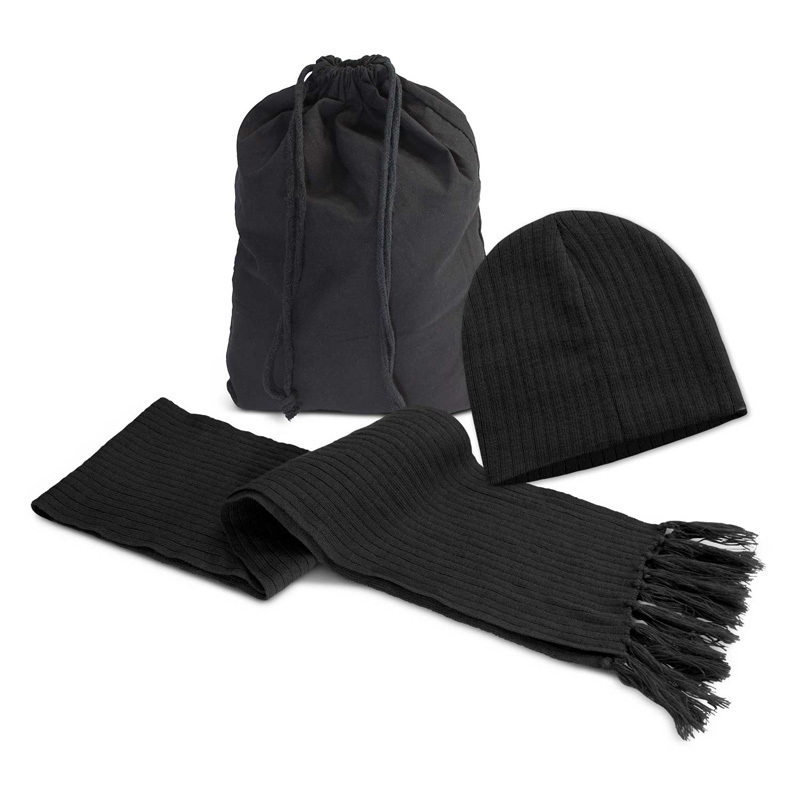 Packaged in Black cotton gift bag.